CBD (cannabidiol) is also a viable alternative for many patients wanting the healing properties of cannabis and its potent antiviral and anti-inflammatory effects without the strict regulations of industrial hemp, AND without the psychoactive, mind-altering effects of THC. CBD is known to bind to receptors and is thought to regenerate cells and brain function, while terpenes are the leafy green part of the plant that has countless healing properties. There is a synergistic effect that takes place when the compounds are combined. There are numerous researched studies on the medical outcomes of utilizing Cannabis as a drug therapy in patients that have fibromyalgia, PTSD, anxiety, depression, epilepsy, cancer, dementia, autoimmune disorders, and many other conditions. The structure of CBD interacts directly with our cells. Our natural endocannabinoid system works synergistically with cannabidiol, creating a multitude of beneficial reactions in the body. The endocannabinoid cells have tiny receptors that take in chemicals and produce responses. This natural system in our bodies regulates things like mood, sleeping, immunity, pleasure, memory and much more. Whether the cancer treatment entails surgery, chemotherapy, radiation treatments, reconstructive surgery, or alternative therapies, the bottom line is that these individuals are sick! They are not feeling well and many times find it entirely overwhelming to function at all. Some of the most common side effects of cancer treatment are pain, nausea, and vomiting, brain fog, extreme fatigue, loss of appetite, hormonal disruptions, weight gain, hot flashes, anxiety, and trouble sleeping. The good news is that CBD oil has the ability to alleviate some of the aforementioned symptoms. And it’s also known to shrink cancer cells. Neuropathic pain syndromes are related to disorders such as diabetes, fibromyalgia, CRPS, Lyme disease and migraines to name a few. The most common treatment for chronic pain is narcotics. Narcotics like Opioids are highly addictive, and our state is currently leading the country in abusing the drug and overdose episodes. The benefits from CBD oils are improved sleep, better mood, reduced pain, better appetite and a general improvement in quality of life without addictive drugs. For Diabetes specifically, CBD oil is proving to stabilize blood sugar, acts as an anti-inflammatory, improves circulation and reduce blood pressure. 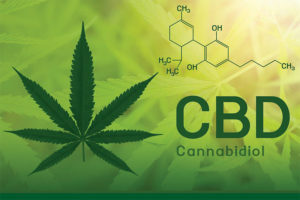 Your CBD Store in Bonita Springs provides CBD in various forms like oils, tinctures, edibles and much more. With CBD, the benefits are multifactorial. There is no THC, no need for a special doctor to register you to get the product, no hallucinations—There is, however, the advantage of alleviating pain, stress, anxiety, digestive disorders, and the list goes on and on. To find out more, please stop by Your CBD Store today! Previous Is it Time to Consider Assisted Living?